Simon works closely with clients providing support with Energy Strategies through the design process from concept, to planning through to construction and hand over. He is an expert at advising and demonstrating how to design energy efficient and comfortable dwellings that meet each development’ bespoke needs. Furthermore, Simon’s expert understanding of the SAP methodology alongside ISO methods of calculating heat loss and dynamic hygrothermal performance using WUFI helps to provide proactive advice. 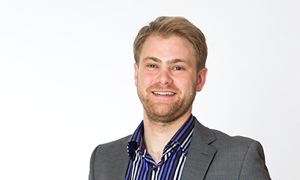 Simon is a Member of both the Institute of Energy and the Institute of Physics and is working towards Chartership. He joined the practice in early 2014.